We’re doing it! We’re really doing it!! 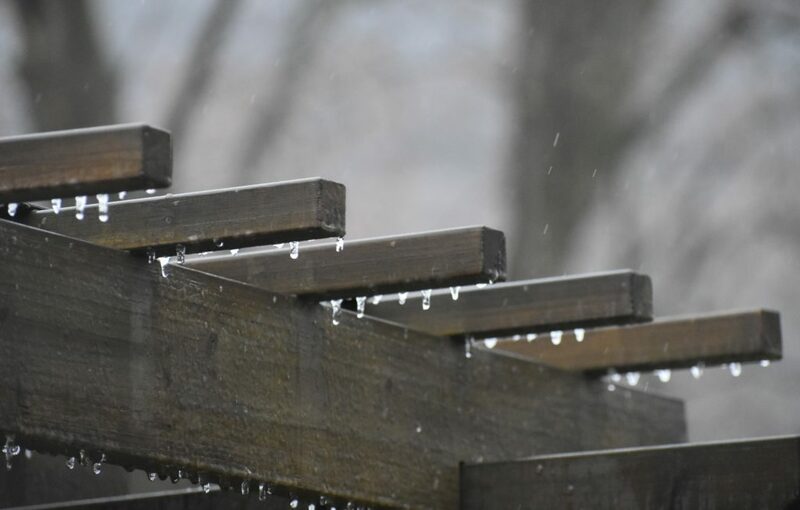 Besides being darn close to breaking the record for wettest year ever, Mother Nature pretty much skipped Fall and went right to Winter. It’s been way too cold to do much work in the shop (we’ll just go with “shop” even though it’s really a garage, okay?). 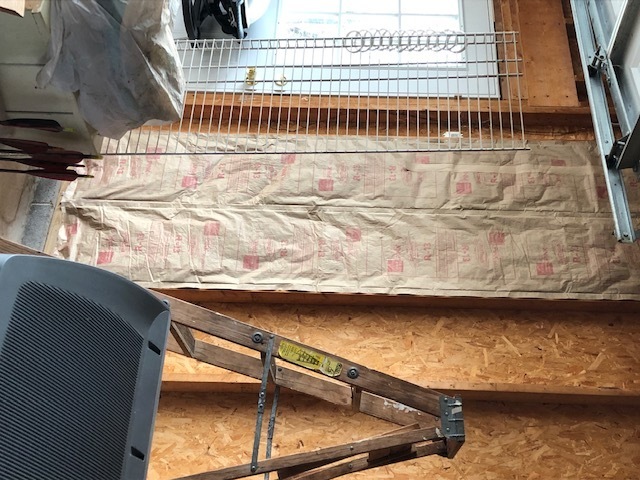 After much research, and thanks to Tim’s support, we are hoping that adding insulation will provide more uses/opportunities for the shop space. In all honesty, the biggest hurdle for this whole project is the overwhelming amount of crap we have stored out there. It’s just been the repository for the “I don’t know where else to put this” stuff. It really is time to sort through it all anyway, but wowza, it’s a big job. There’s not just stuff on the ground around the perimeter, but on shelves on the walls, on shelving units, and on random nails everywhere. We already replaced the side door (in picture above) a few weeks ago, because that had been on the list even before the insulation decision. At this point, we’re not investing in a new garage door, so we’ll add insulation to the existing door. You can also see above, that there is already drywall on the ceiling. On the plus side, less drywall to worry about, on the minus side, we need to crawl up above it and add insulation from the top. It’s not a big space to move around in. It took a few hours, but we cleared off about 15 feet of wall, got a few rolls of insulation and got started. Once again, I was ridiculously excited that I was doing this myself. Tim helped later after he got a few more things on his list done, but I jumped right in solo. It took way less time to put the insulation up than it did to clear the wall space. As soon as weather and time permit, we’ll get wall board for this section and put up shelves. The plan is to organize as we move stuff over and then work on opening up the next section. 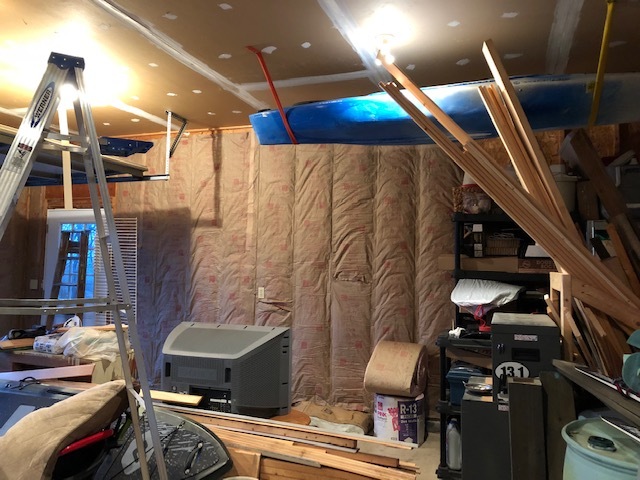 We have another third of this wall, the back wall, around the garage door, and the ceiling to go. Tim uses the garage space for a lot of projects as well. I really think we’ll both benefit from this undertaking, with the added bonus of cleaning out more stuff we forgot we had and don’t need. I have a random add on to this post. 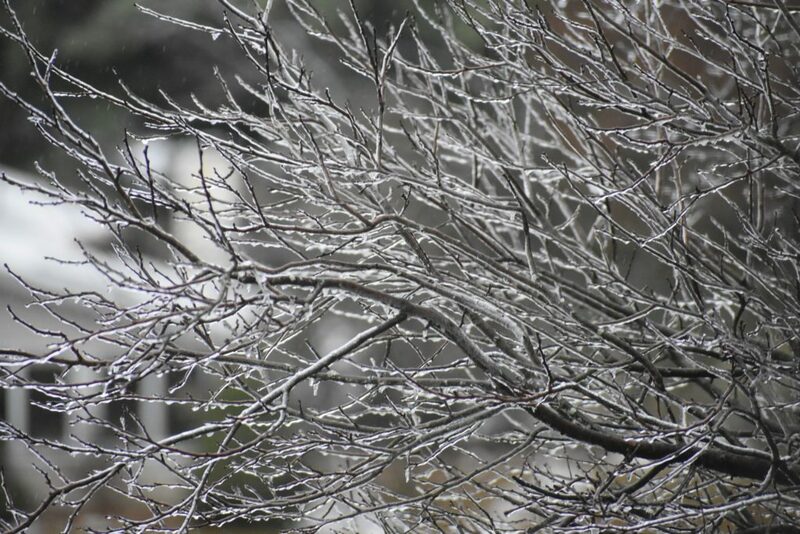 Last Saturday, we had a freezing rain event and I was able to get a few pretty cool shots with the fancy camera. Very glad we were home and indoors for this weather. 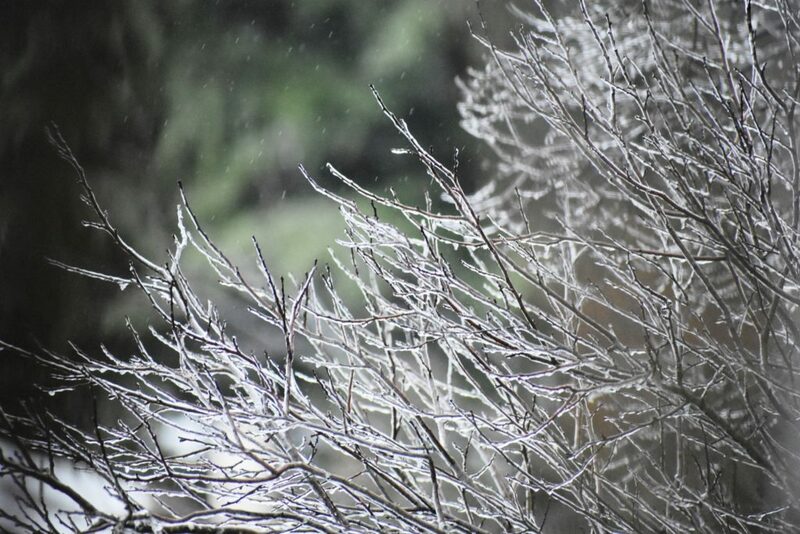 It’s super pretty to look at…from inside the house. 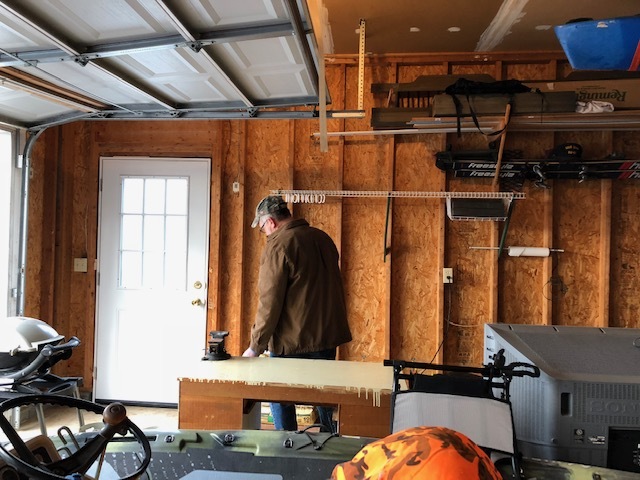 This entry was posted in Empty Nest, Hobby Adventures, House Projects and tagged creating a garage woodshop, empty nest life, enjoying working together, garage workshop problems, hobby adventures, house projects, insulating the shop (garage), playing with the camera by Mara. Bookmark the permalink. So glad you’re finally doing this! It will make a huge difference! Are you going to have a garage sale for the other stuff? How are you making the insulation stay up? Ha! There is definitely stuff that needs to go, but there’s no specific plan yet. Staple gun for the faced insulation, wall board is next for that first section.